Embrace drone technology as an integral part of work with the DJI Flight Simulator — a professional pilot training software using DJI’s leading flight control technology to recreate the natural flying experience. 1.How do I get the Free Trial Version? Click the Download button on the Flight Simulator product page to download and install the Launcher. In the Launcher, log in with your DJI Account and click "Free Trial" to download and start using the software. 2.How do I purchase the Enterprise Version? Please fill in the Contact Us form at the bottom of the https://www.dji.com/simulator page, our sales team or dealers will be in touch with you soon. You can also contact enterprise@dji.com or a local dealer to purchase. 3.Can multiple computers use the same software license? Yes, but only one computer can be logged in at once. 4.What equipment do I need to run the Flight Simulator? A computer with a 64-bit versions of Windows 10 system is required to run the program. To connect the remote controller to a computer, you will need a compatible DJI Remote Controller and a Micro-B to USB-A cable. 5.What are the system requirements for running the Flight Simulator? 6.What remote controllers does the Flight Simulator support? Flight Simulator supports the DJI remote controllers for the Mavic Air, Mavic 2, Phantom 4, Phantom 4 Advanced, Phantom 4 Pro, Phantom 4 Pro V2.0, Matrice 100, Matrice 600, Matrice 600 Pro, Inspire 1 Series, and Lightbridge 2. 7.What drones can be flown in the Simulator? 8.How do I log into/activate the Flight Simulator? 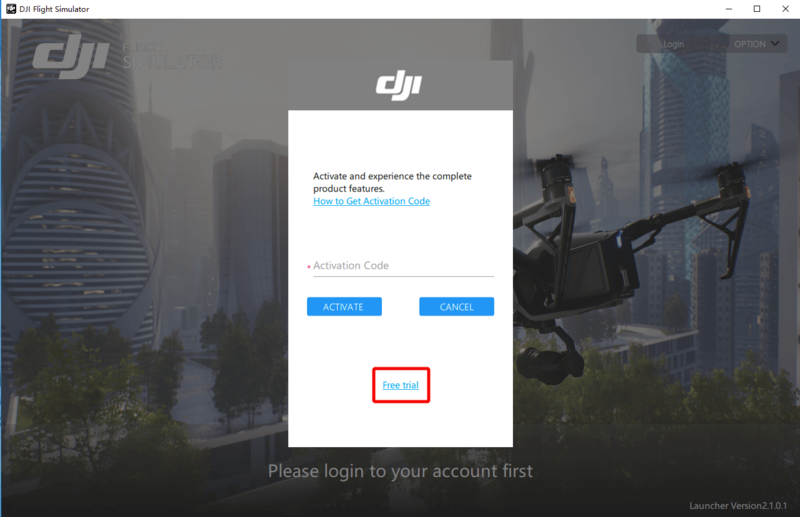 Enter your DJI Account information or register for a DJI Account to log in. Then, the Free Version of the Flight Simulator can be run immediately, and the Enterprise Version can be activated with the activation code that you received when you purchased the Flight Simulator. 9.How do I connect the Flight Simulator to a larger monitor? You can connect an external monitor to your computer with an HDMI cable, right click on the Windows 10 desktop, go to Display Settings—Multiple Display Settings—Duplicate these displays. 10.Does the DJI Flight Simulator come with a remote controller and a computer? 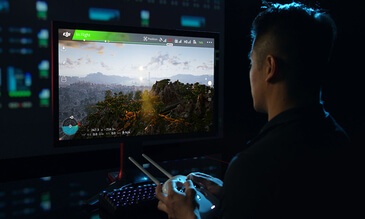 The DJI Flight Simulator is a software product only and does not come with any hardware products such as a computer, cables, or a compatible remote controller. If you need to purchase these products, please refer to our system requirements table, or talk with a DJI representative or an DJI Enterprise dealer.